Remanufactured OEM Core replaces Nissan Sentra Steering Racks from 2000 through 2012 matching Part #48001-9AF0A or #49001-4Z011. There are 2 SKUs available for the Sentra depending on the Model Year. Please select your vehicle's Model Year from the dropdown menu below to guarantee the exact fitment. Unlike other Auto Parts, the Rack and Pinion isn’t usually serviceable on-site by a mechanic. It must be removed and replaced. Why? Common problems reported by Nissan Sentra owners are fluid leaks and noisy squeaks caused by worn out or deformed internal Seals that cannot be replaced until the Gear Assembly has been removed from the vehicle. SteeringPros, LLC replaces these Inner Tie Rods, Seals, and all other unusable components per our Reconditioning Process. Afterwards, the Steering Rack is reassembled and tested using a computerized simulator that outputs hydraulic pressure levels to OEM specifications. Every Part sold on this Site is covered by a Limited Parts Warranty: 24-Months or 24,000 miles, whichever comes first. An optional 24-Month Labor Guarantee ($80) is available to qualified automotive professionals, which can help pay towing and labor expenses up to $400. You must select this option at the time of purchase as it cannot be added to the order at a later date. This feature is exclusive to qualified Repair Shops (e.g. Dealerships and ASE® Certified Repair Shops) and must be approved at the time of processing. Further, Warranty replacements are subject to approval and we reserve the right to send an independent, third-party inspector to verify that a failure has actually occurred. Replacement Parts are sent UPS® Ground. Repair Shops that opt for the Labor Guarantee will have their Parts delivered via UPS® 2-Day Air at no extra charge. SteeringPros.com requires that you follow all factory procedures for replacing the Steering Gear Box — which may require a full flush of the P/S System with an approved solvent to remove debris — as well as introducing a new component into the Controller Area Network (‘CAN bus’) system and Engine Control Unit (‘ECU’) module or the Warranty will be void. While a 4-wheel alignment or toe adjust is not required after installation, the Tie Rod Boots must be straightened or the Parts Warranty will be void. 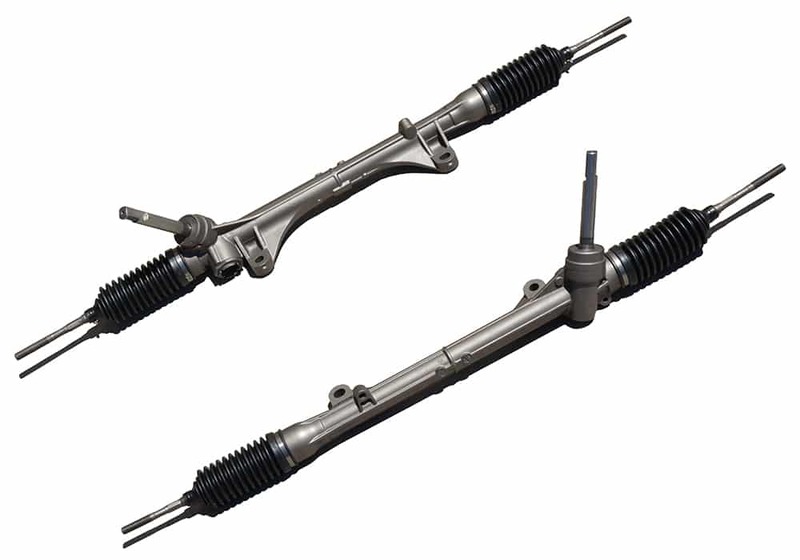 2007–2012 Base, S, SL and SR Models: Manual Steering Rack interchanges with Nissan OEM #480019AF0A / 48001-9AF0A, and replaces obsolete Part #48001-9FA0A and #48001-ET000. 2000–2006 Base, XE, GXE, CA, S and SE Models: Hydraulic Power Steering Rack interchanges with Nissan OEM #490014Z011 / 49001-4Z011, and replaces obsolete Part #49001-4Z001. Hydraulic Racks use Genuine Nissan PSF #999MP-AG000P available at your local Dealership. Nissan cautions vehicle owners to “always use Nissan Power Steering Fluid. You may use another P/S Fluid as an emergency replacement, but have the Power Steering System flushed and refilled with Nissan PSF as soon as possible.” We also require that OEM (Genuine) fluid is used or the Warranty will be void. Q: WHEN WILL I RECEIVE MY PART? A: Every product sold by SteeringPros.com includes FREE UPS® Ground + prepaid RS for the Core. Please allow 2–4 business days for delivery. The fee to upgrade the shipping method to UPS® 3-Day Select is $30, UPS® 2-Day Delivery is $60, and UPS® Next Day Air (‘Overnight’) is $90. All orders received by 3:00 PM ET ship same-day. Orders submitted after 3:00 PM will process the following business day (excludes weekends and holidays). If you are having trouble with your order or prefer to purchase by phone, call us at (800) 385–3690. Q: WHERE DO WE SOURCE OUR STEERING PRODUCTS? 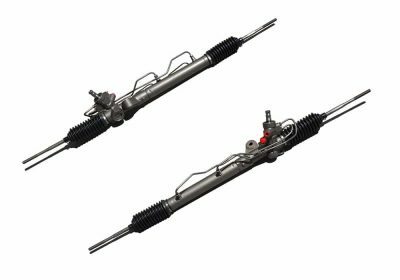 A: All of our Steering Racks are sourced from various machine shops in the U.S.A. and include the Inner Tie Rods and Boots. Remanufactured Original Equipment (‘OEM’) Cores that are identical in fit and quality compared to a new Part, and meet or exceed the OEM manufacturer’s specifications. Depending upon the delivery address, each product may be shipped from Baltimore, Chicago, Las Vegas, or San Diego to save on freight costs and shorten delivery times. Q: HOW DO I KNOW THIS IS THE CORRECT PART FOR MY VEHICLE? A: There are 2 SKUs available for 2000–2012 Nissan Sentra Steering Gears, depending on the Model Year. Select your vehicle’s Model Year from the dropdown menu above to guarantee the exact fitment. If you need to confirm the exact Year / Make / Model of your vehicle, use this Free VIN Decoder. Prior to installing this Part, we strongly recommend that you compare it to the OEM Part. Look closely for any variations or discrepancies. While we do make every effort to reduce the occurrence of mislabeled shipments, it is common sense to verify the product you receive is an exact copy of the original component. Installation of the Part will render it used and ineligible for a full refund per our Terms & Conditions. Q: WHAT ARE COMMON REASONS TO REPLACE THE STEERING GEAR BOX? Lack of Assist — The wheel turns easily in one direction, but with difficulty in the opposite direction. The steering wheel may also have trouble returning to center. Fluid Leaks — Worn out or deformed Seals may cause the Steering Rack to leak P/S fluid from the Pinion Tower or Bellows. Wandering — The wheel requires frequent adjustment to drive straight down the road. Loud Noises — Clunking sounds while turning or driving over speed bumps. Vibration — Jerkiness or “loose” feeling due to excessive play. Our Nissan Sentra Steering Racks don’t give a lot of fuss—they just perform. Our products are an exact fit compared to the OEM Part, and we’ve simplified the Checkout process so that you can spend more time focused on the repair and less time online. Click ‘Select Options’ to choose Model Year and Labor Warranty and Checkout. Orders process same-day if placed by 3:00 PM ET.